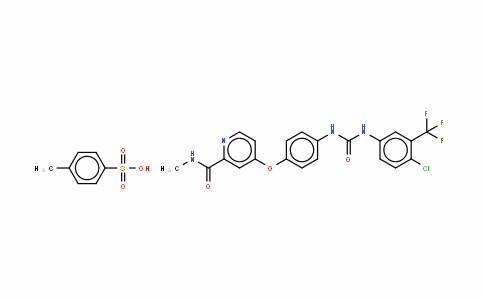 Sorafenib (Bay 43-9006) is a novel bi-aryl urea compound that inhibits cell proliferation by targeting the ERK pathway and angiogenesis by targeting the receptor tyrosine kinases VEGFR-2 and PDGFR-ß and their associated signaling cascades. 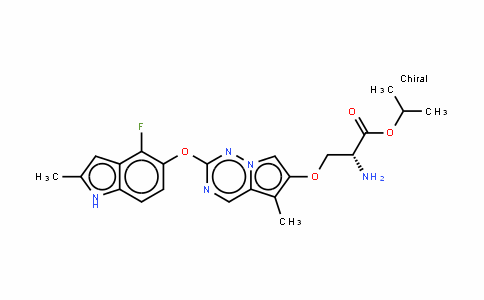 Although sorafenib was initially developed as a Raf kinase inhibitor (IC50 = 6 nM), it has since been shown to have activity against many receptor tyrosine kinases involved in tumorigenesis and angiogenesis including FGFR-1, wt BRAF and V599E mutant BRAF, as well as members of the so-called "split kinase" family: VEGFR-2, VEGFR-3, PDGFR-ß, c-KIT, and Flt3. 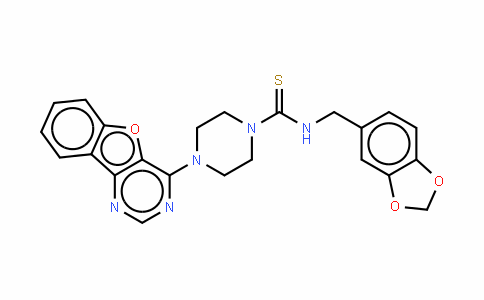 However,sorafenib is not active against erbB1, erbB2, ERK-1, MEK-1, EGFR, HER-2, IGFR-1, c-MET, c-yes, PKB, PKA, cdk1/cyclinB, PKC, and pim-1. In cellular mechanistic assays, sorafenib decreased basal phosphorylation of the ERK pathway in melanoma, breast, colon, and pancreatic tumor cell lines. 1, Guo, J., et al. 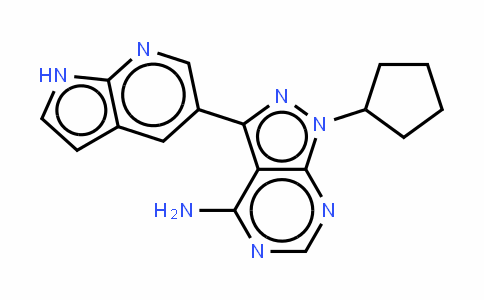 "Inhibition of phosphorylation of the colony-stimulating factor-1 receptor (c-Fms) tyrosine kinase in transfected cells by ABT-869 and other tyrosine kinase inhibitors." Mol. Cancer Ther. 5: 1007-1013 (2006). 2, Wilhelm, S., et al. "The novel Raf inhibitor Bay 43-9006 blocks signaling and proliferation in BRAF mutant and wildtype melanoma and colorectal tumor cell lines." Proc. Am. Assoc. Cancer Res. 44: 106609 (2003).